Mid-February has rolled around and it's time for baseball in Tallassee. The Tigers look to return to the post-season for the fifth straight year with a move back to Class 5A. Last year's team was knocked out by Munford in the first round. 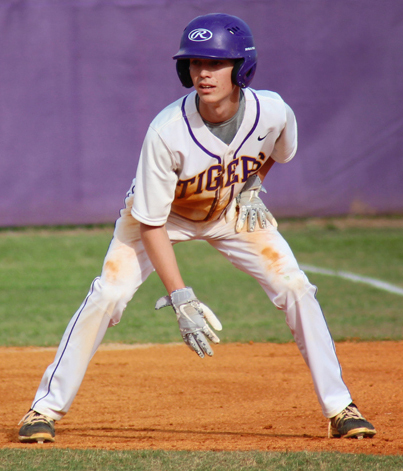 The season prior, Tallassee lost in the rubber match game of the quarterfinal round to eventual state champion UMS-Wright. "The kids have been working hard. The ones that didn't do fall sports have been doing 1-on-5's since September," head coach Adam Clayton said. "There's going to be a lot of new faces. You're going to see a lot of new names in the lineup. We've lost a good bit of guys the last few years." Clayton noted that the junior class this year has about a dozen players that should contribute. There are seven seniors on the squad. "We've got some age to us. We're going to play a lot of guys early and see how it pans out. It's a marathon not a sprint." The team that the Tigers have assembled at the varsity level has become known as the "blue collar" group. "They come to work everyday and work hard. They've bought in to the things we want to do. They're not going to be flashy or make the SportsCenter plays, but they're going to do the job and be fun to watch." Parker Neighbors and Jake Burton have joined former teammates Dee Williams and Reid Whitaker at LBW in Andalusia. Seniors Beau Baker and Jackson Gantt will step in to fill that void on the mound. "Beau Baker is probably our most experienced pitcher coming back. Jackson Gantt has come along as well. He had a good year at the plate as well as defensively. He made honorable mention all-state. This past summer he got a lot of innings on the mound. He's dropped down to a 3/4, almost submarine style. In my tenure, we've really never had anybody like that. He'll be a starter." Fellow seniors Blake Schwab and Dylan Tuner will also play parts in the rotation, but Clayton will incorporate a couple of sophomores as well. "Jacob Dantro and Jacob Ingram will dress with us and throw with the JV as well. I feel like we've got one of the better defenses we've had the past several years." The area changes with the change in classification. "With Beauregard back in the area, we've always had a lot of battles with them. Valley's been solid the past few years. We really haven't played Brew Tech in my tenure. They've been to the playoffs several times. When you get to the 2-of-3's, anything can happen. You've got to be peaking at the right time."